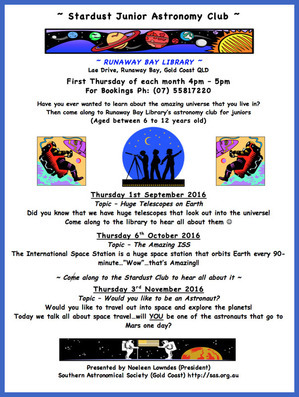 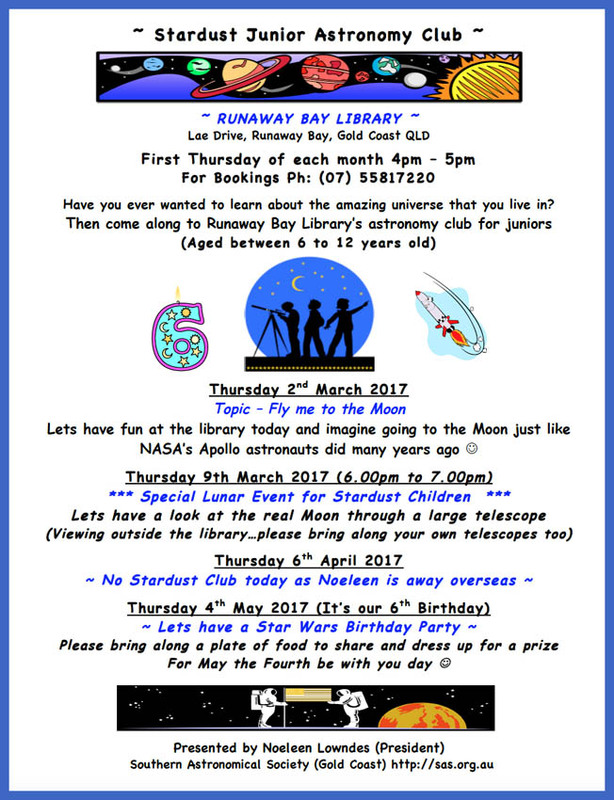 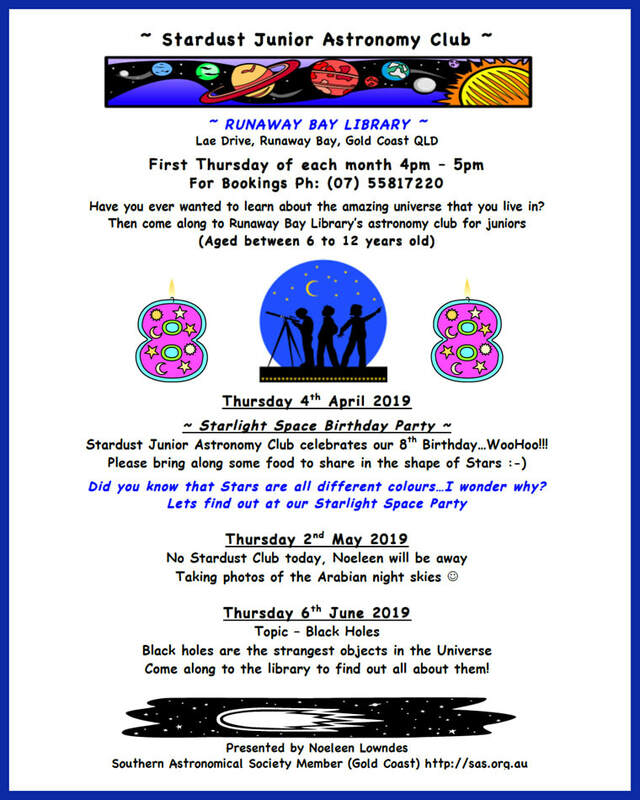 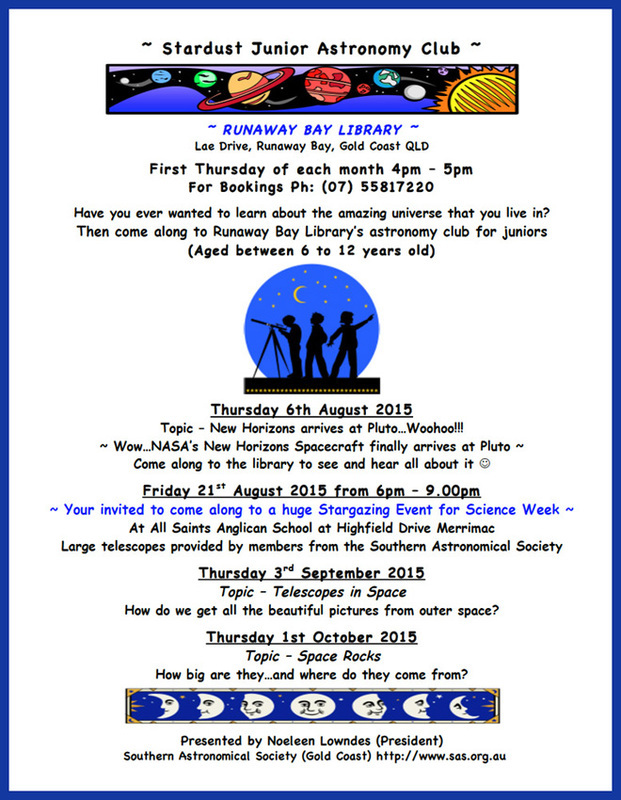 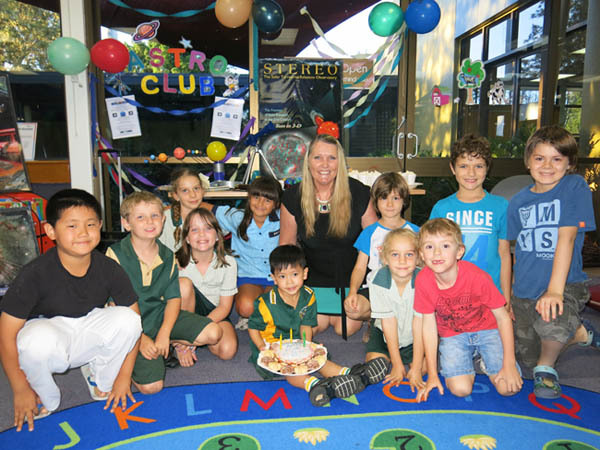 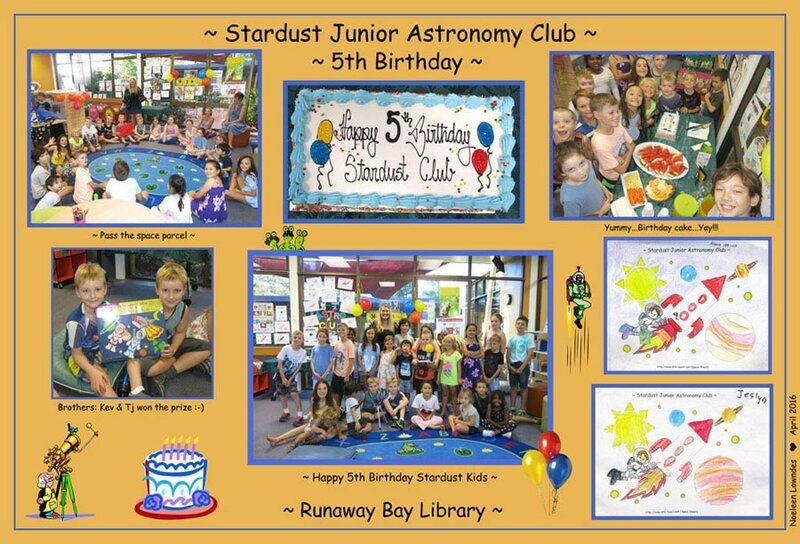 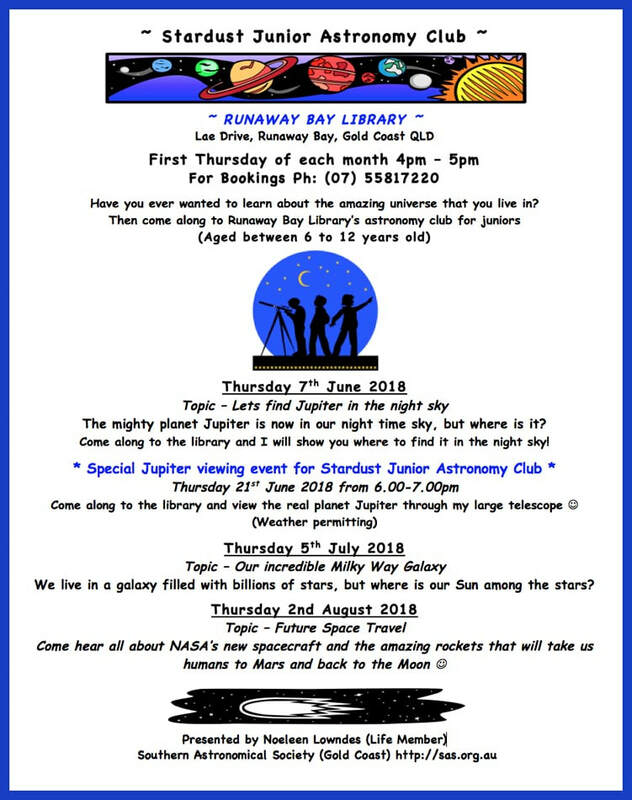 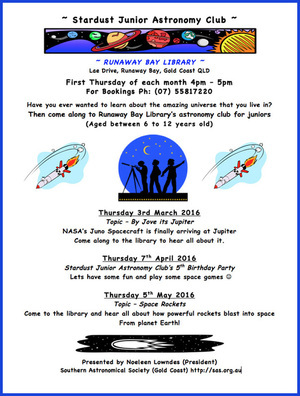 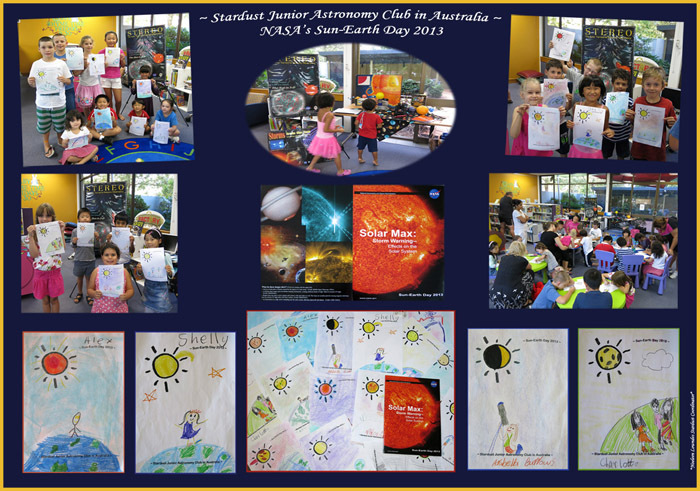 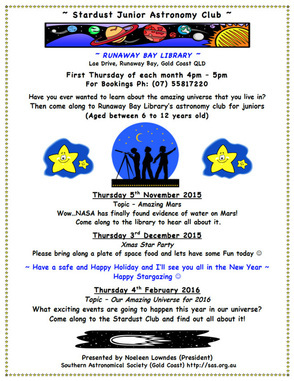 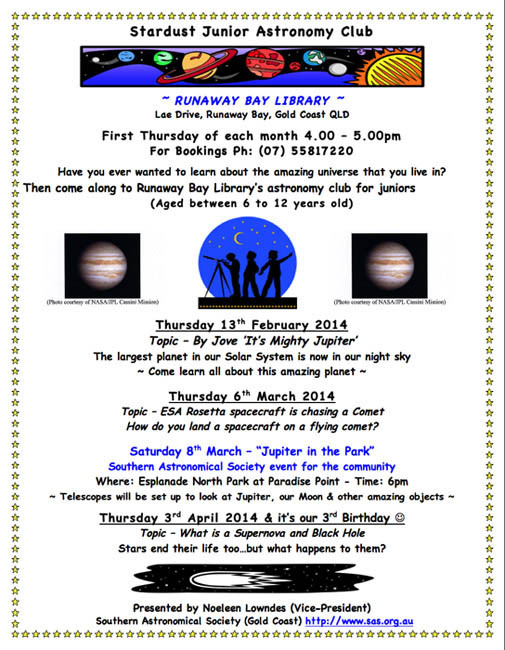 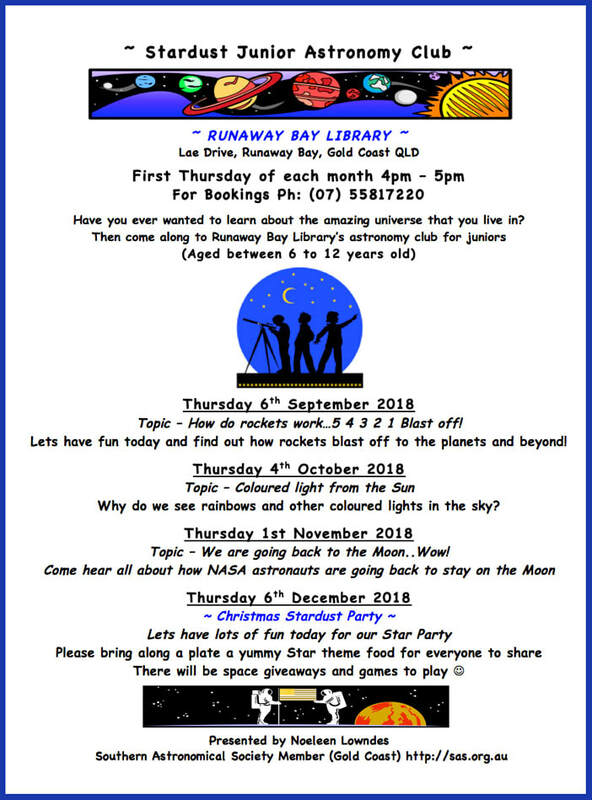 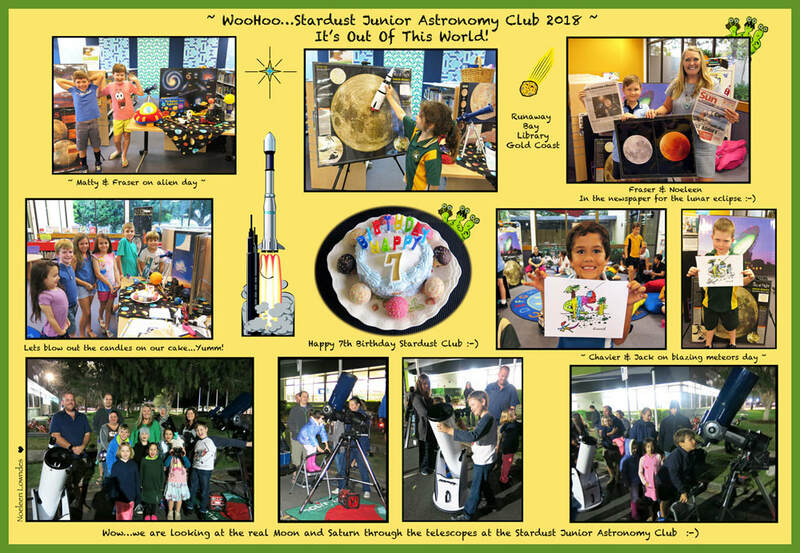 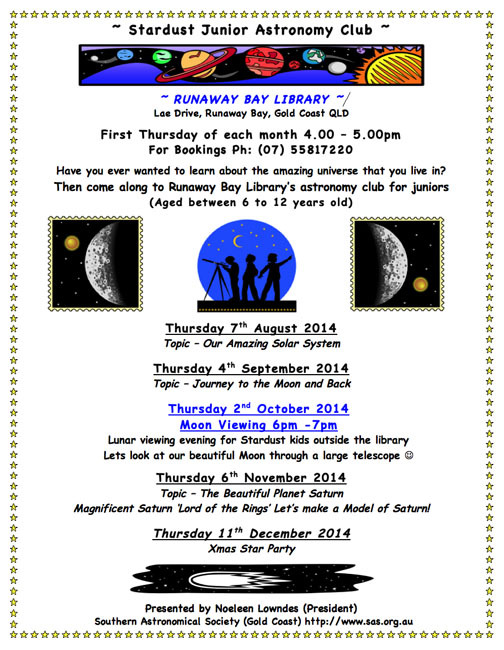 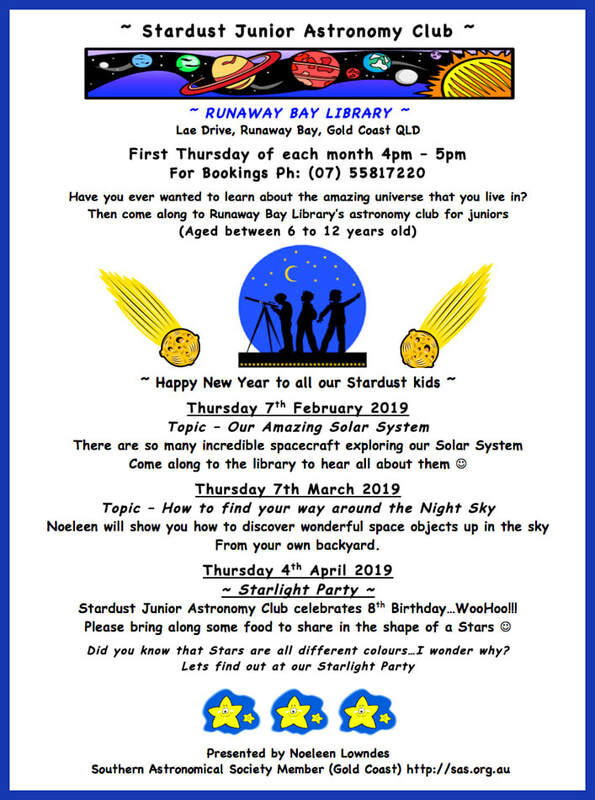 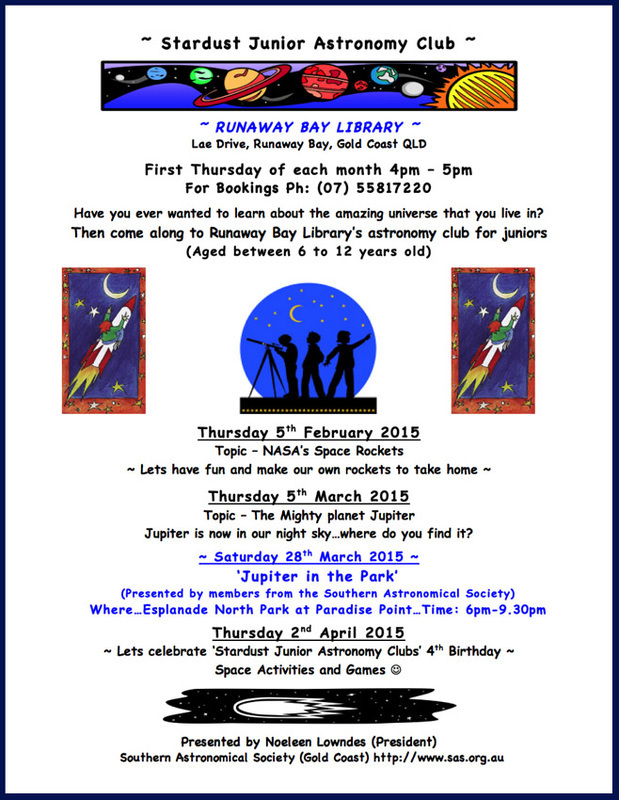 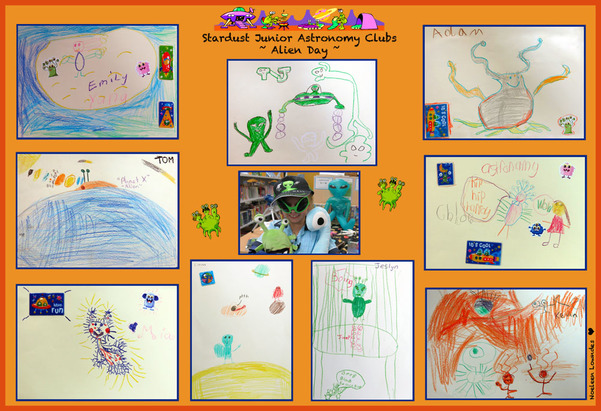 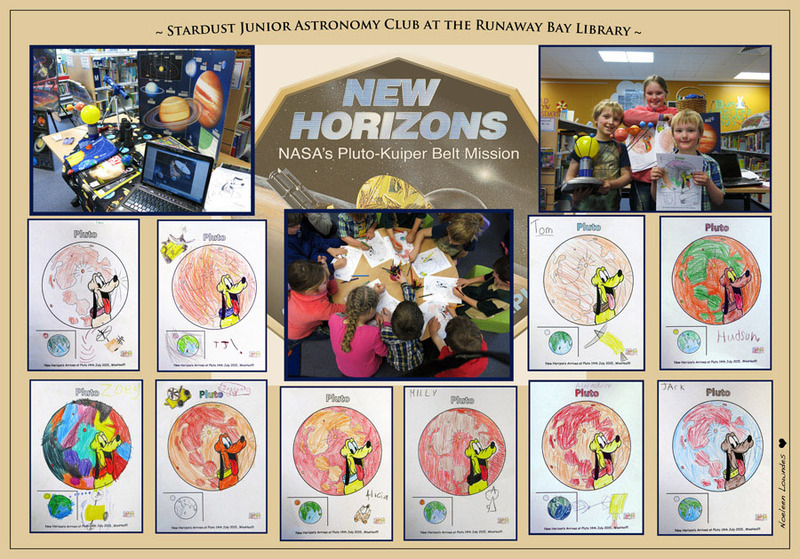 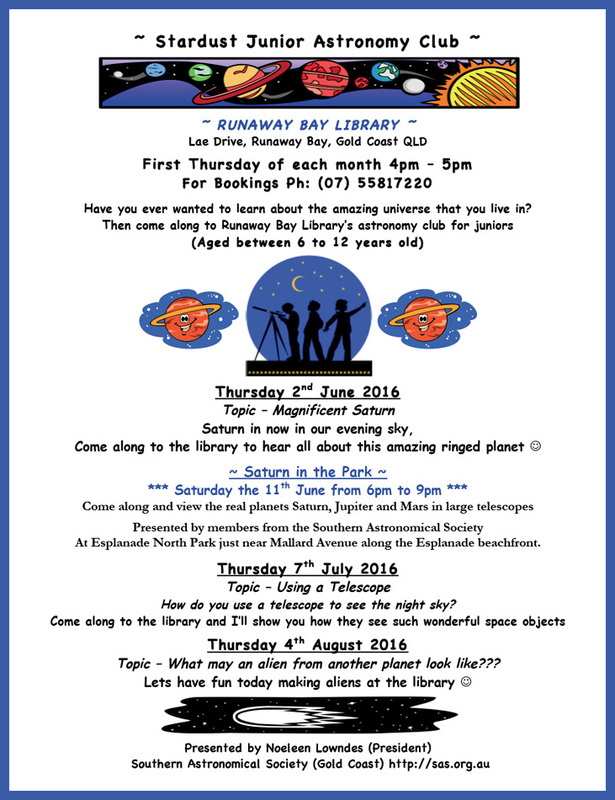 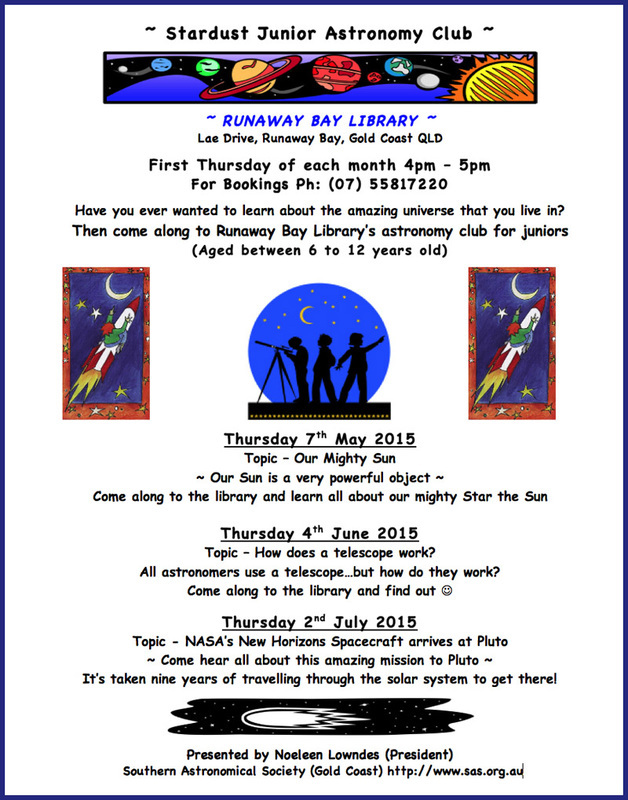 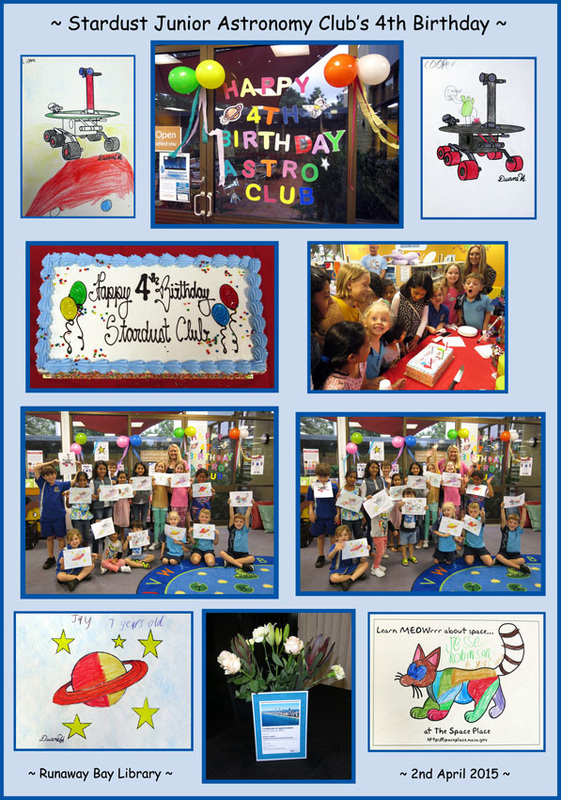 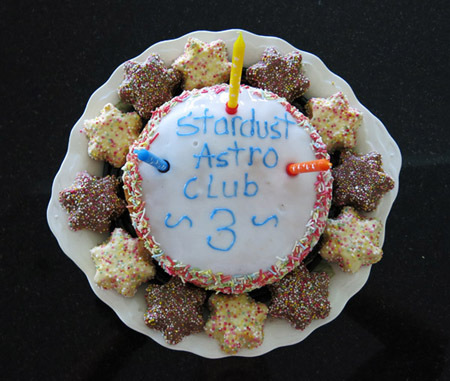 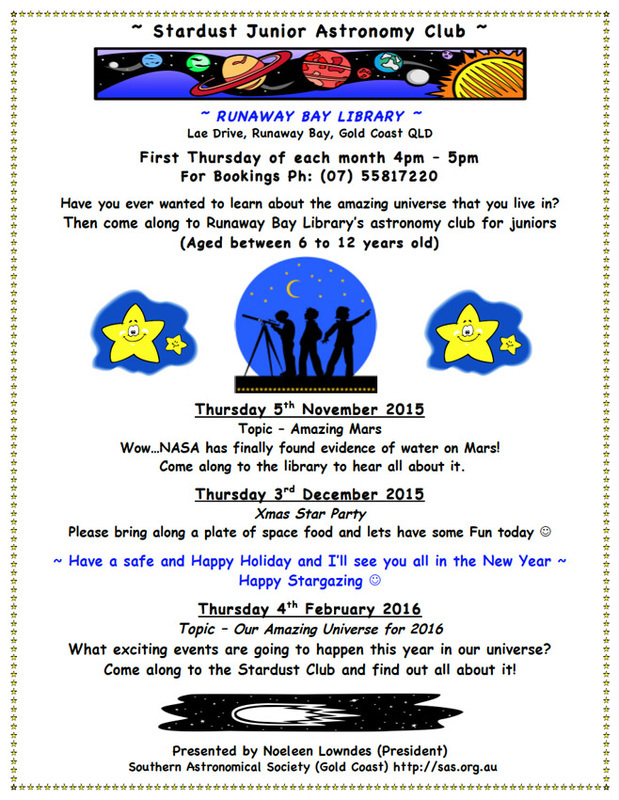 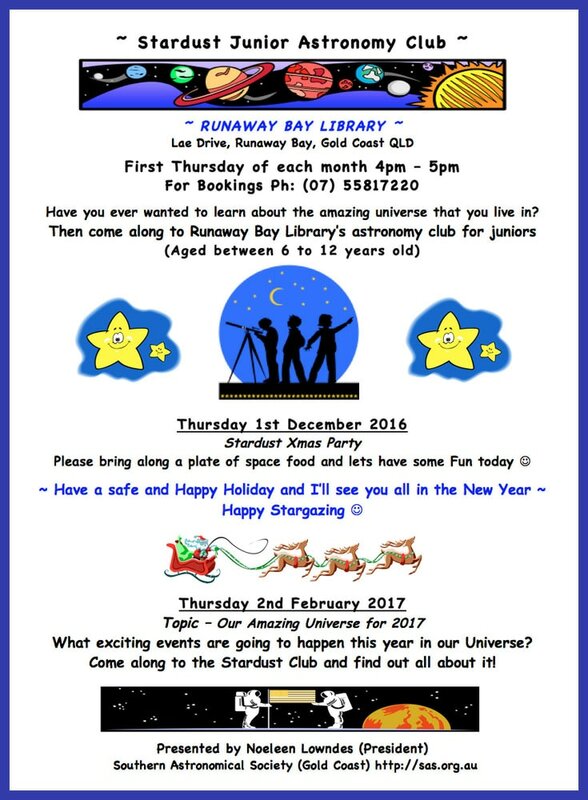 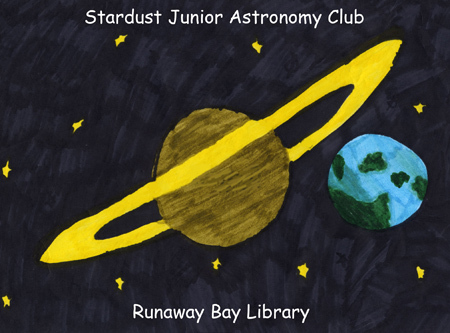 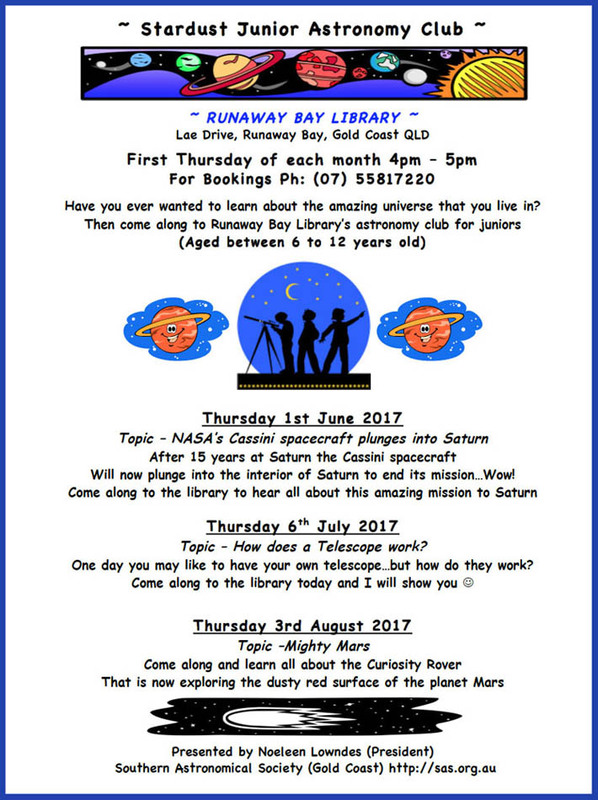 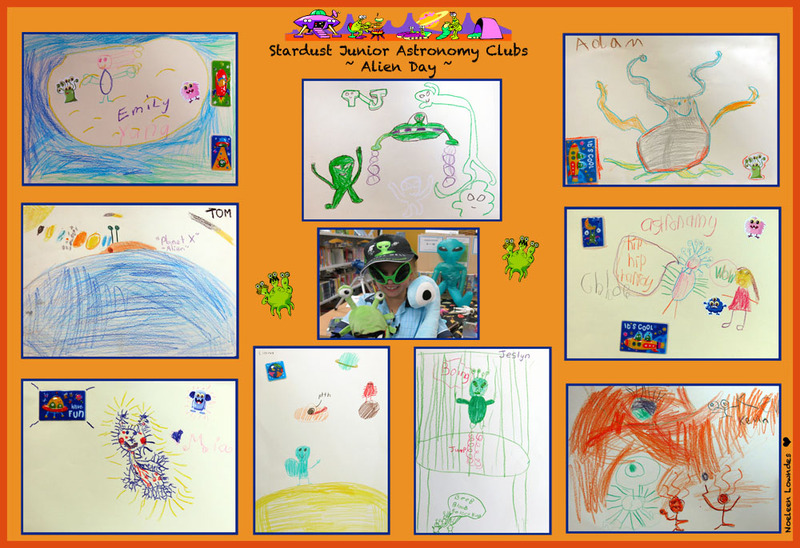 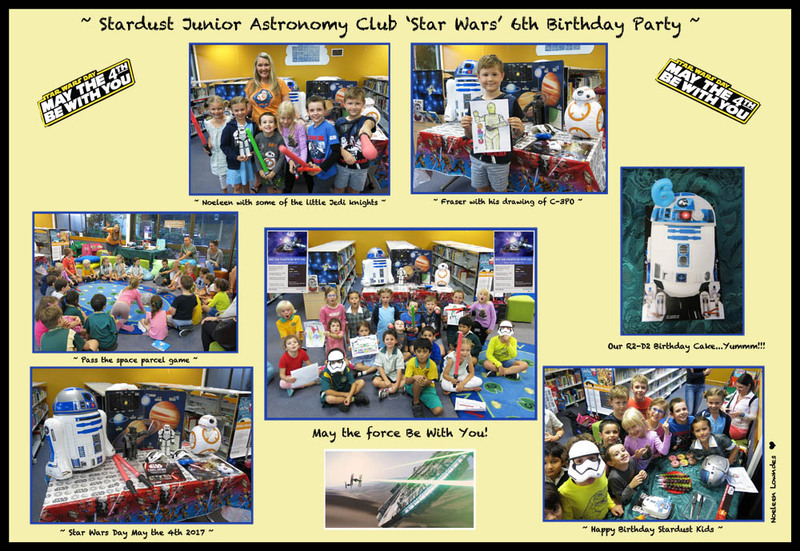 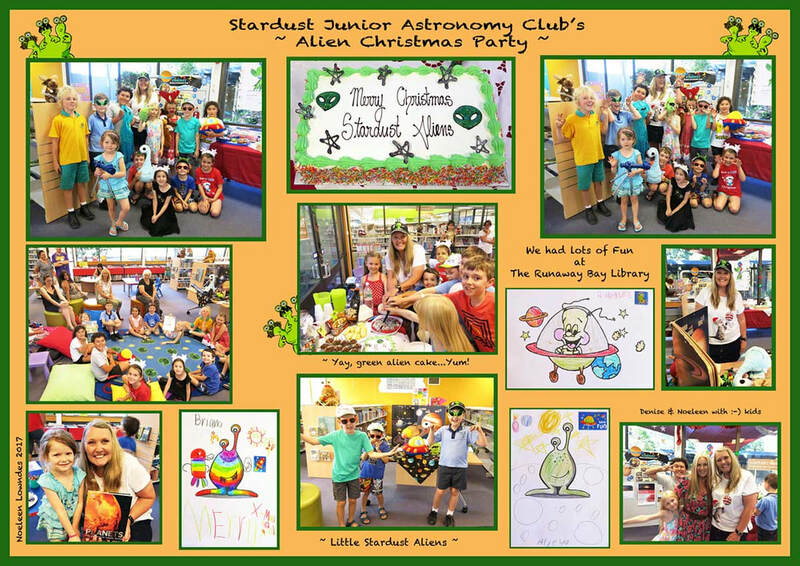 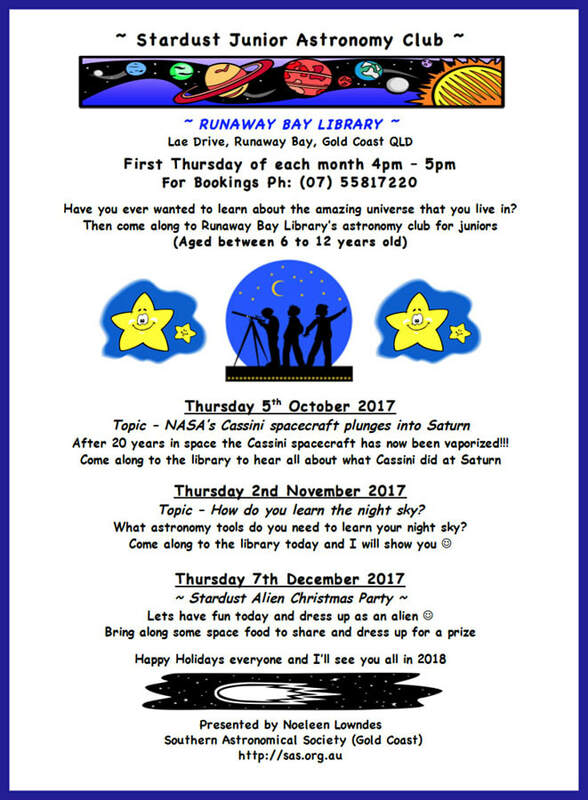 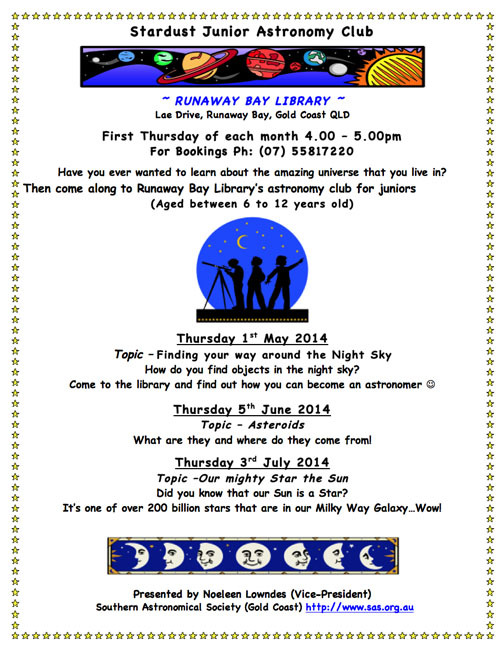 The Runaway Bay Library 'Stardust Club' is out of this world "FUN"
Stardust Junior Astronomy Club celebrates 8th Birthday…WooHoo!!! 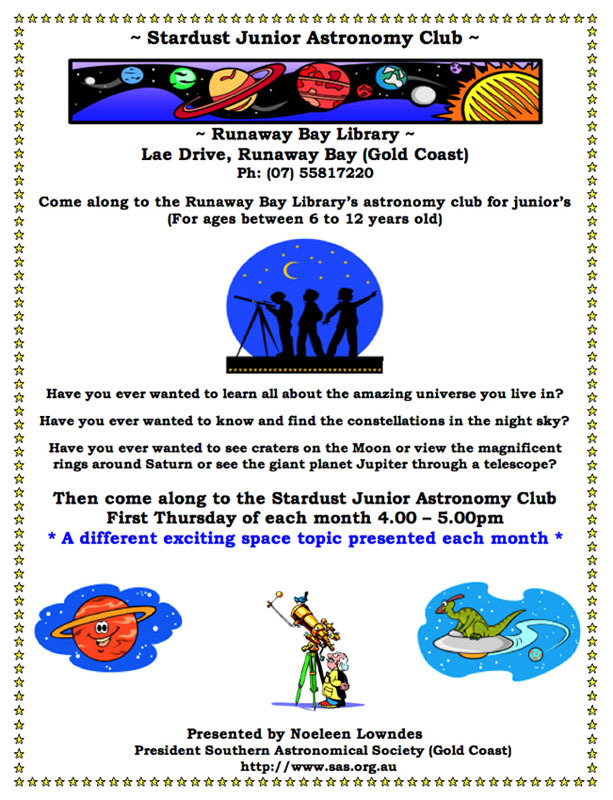 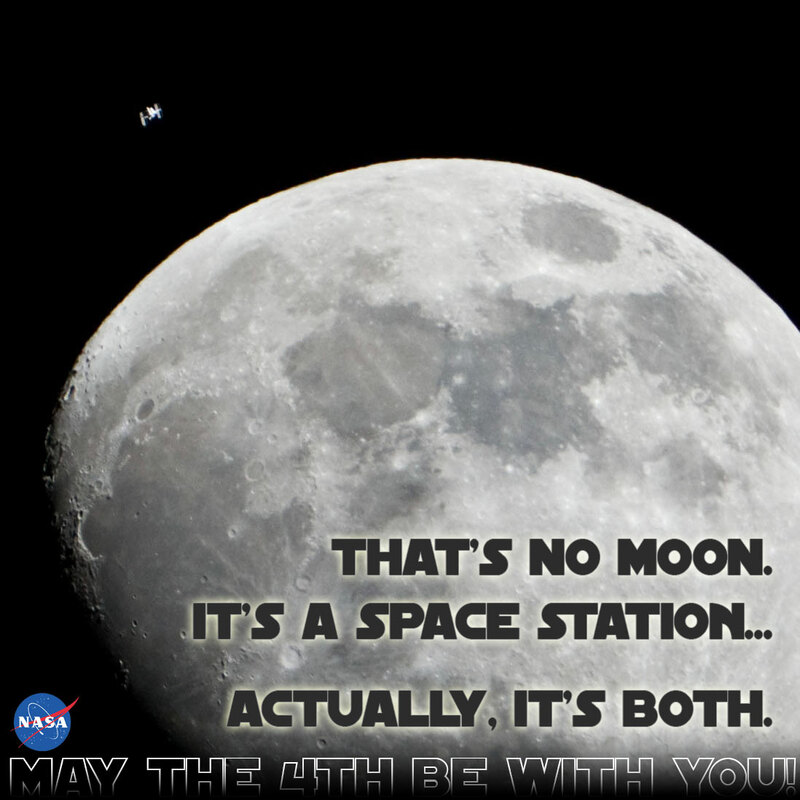 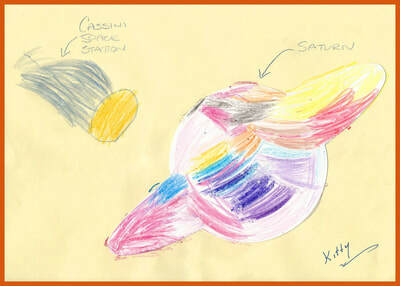 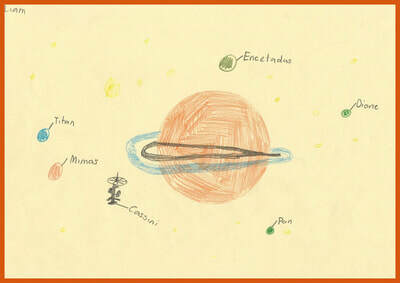 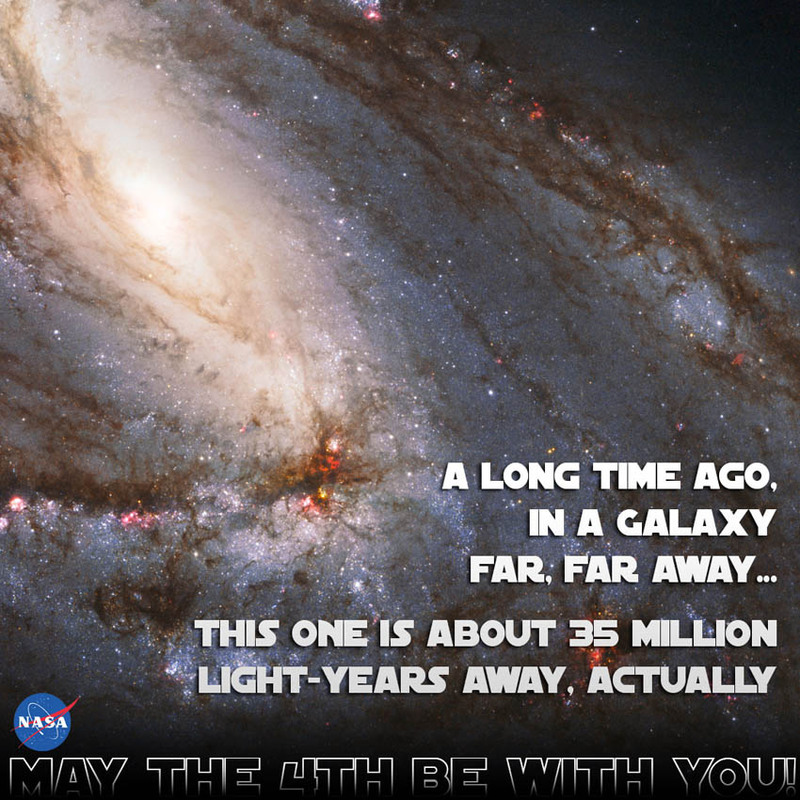 Did you know that Stars are all different colours…I wonder why? 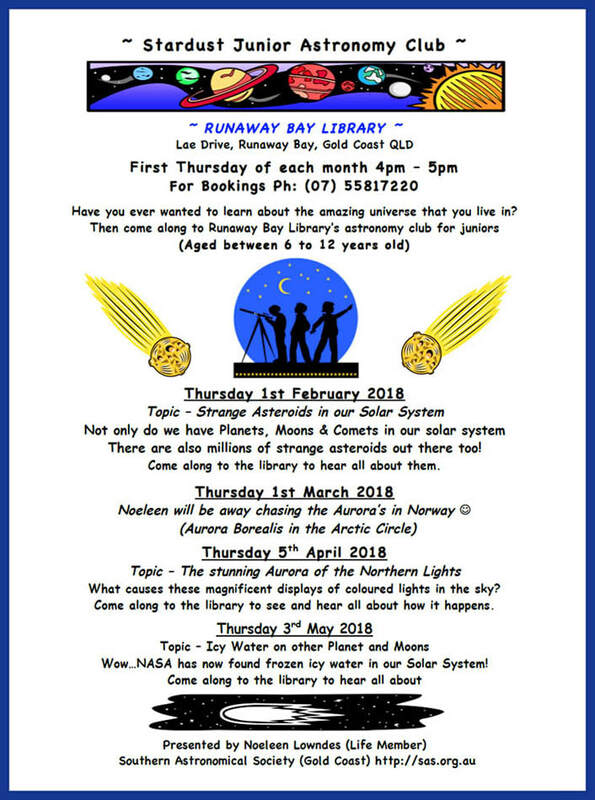 Come along to the library to find out all about them! 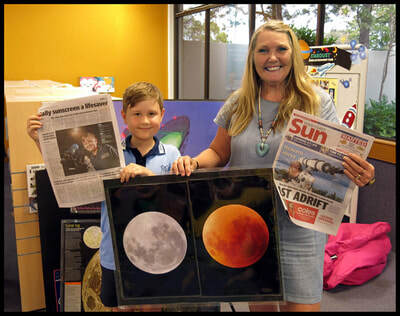 It was a very exciting time late last month when the media contacted us for a story on the Super, Blue, Blood Moon to go into the newspapers. Chris Honnery a reporter from the Courier Mail contacted both Jenny and myself to do a story but he wanted to have a child with a telescope in the article. 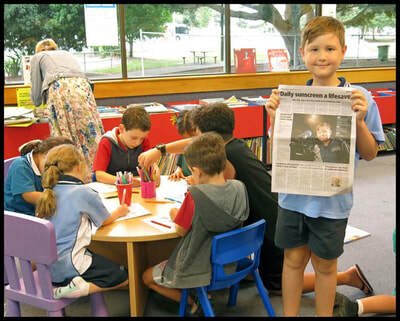 In comes our star Fraser, who’s one of the Stardust children from my astronomy club at the Runaway Library, Fraser’s mum Bronwyn is one of our new members at SAS and she was very happy to give permission for her son to be in the article about this special lunar eclipse. 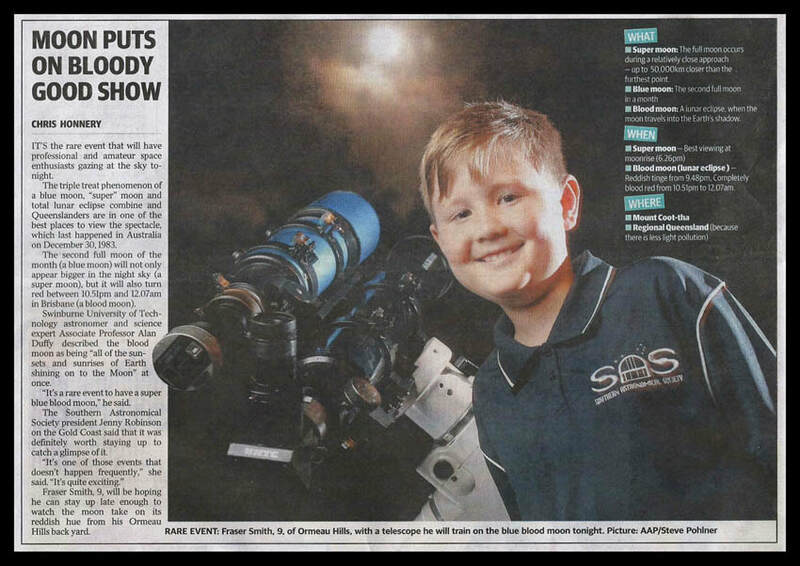 The whole process had to be done in just a couple of hours to meet the deadline for the paper, so Jenny quickly set up her telescope at her place and Julie supplied the SAS t-shirt (Yay!) 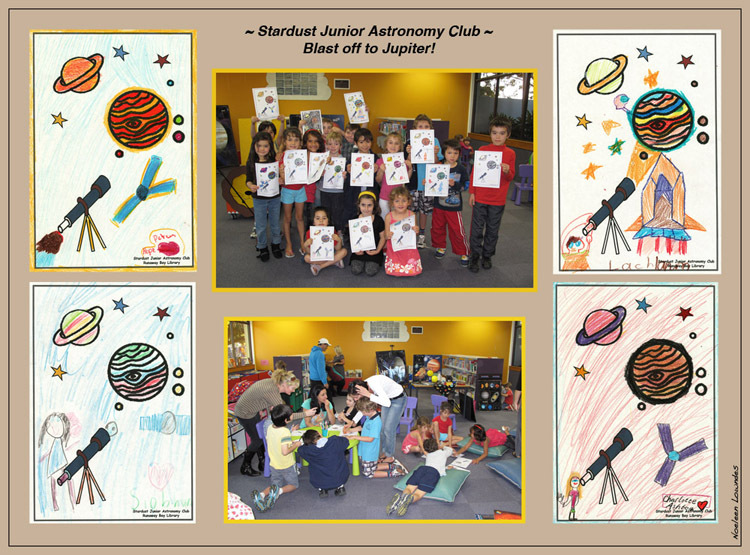 with Bronwyn providing our budding junior astronomer ‘Fraser’…so great team work everyone! 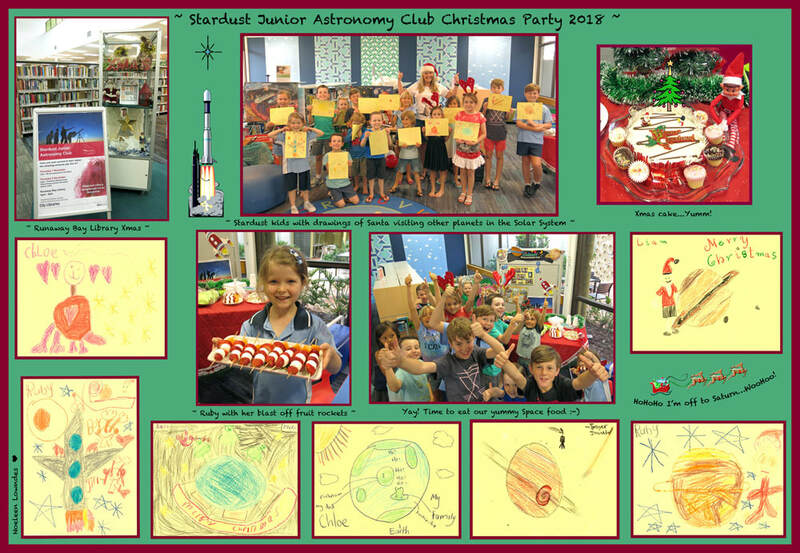 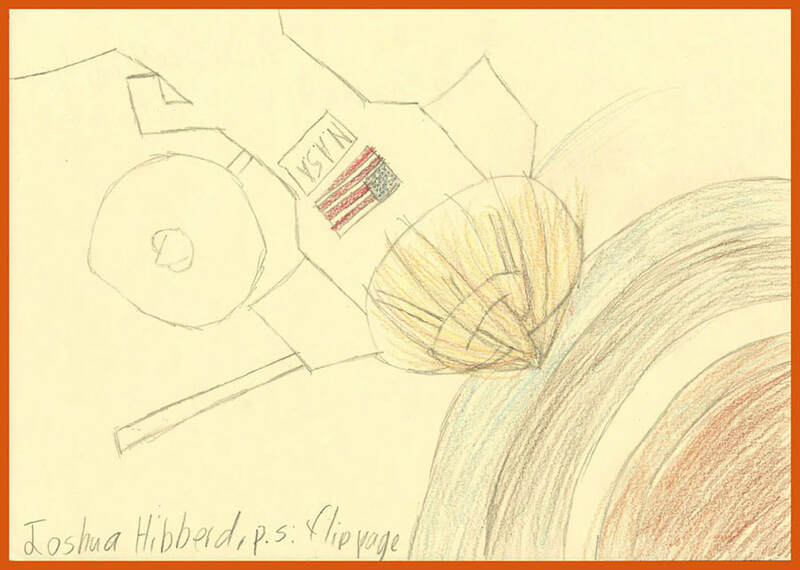 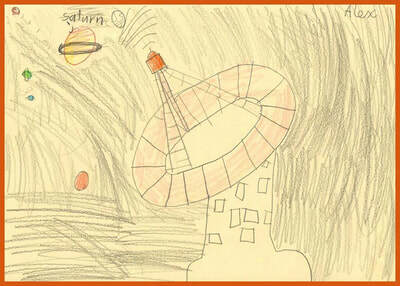 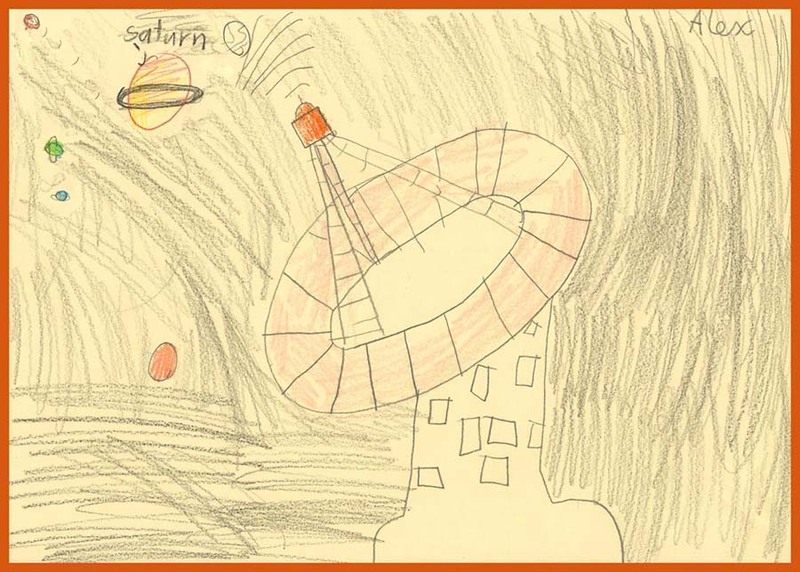 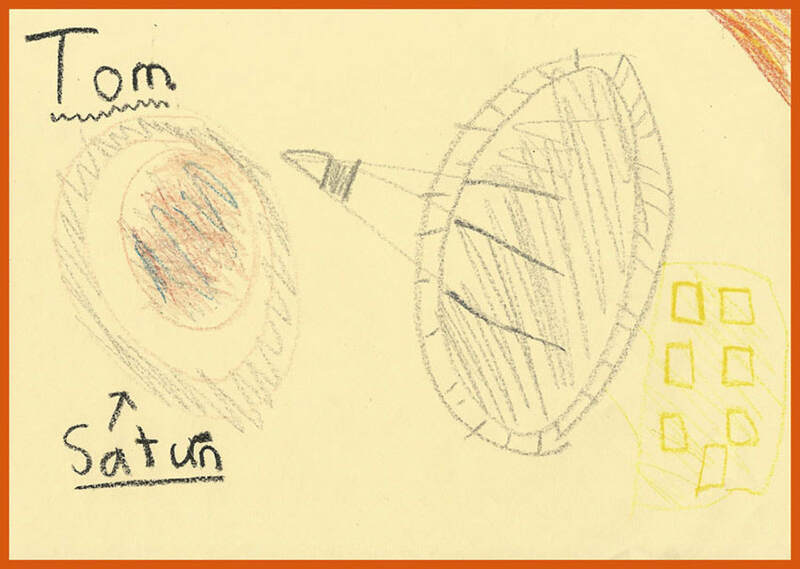 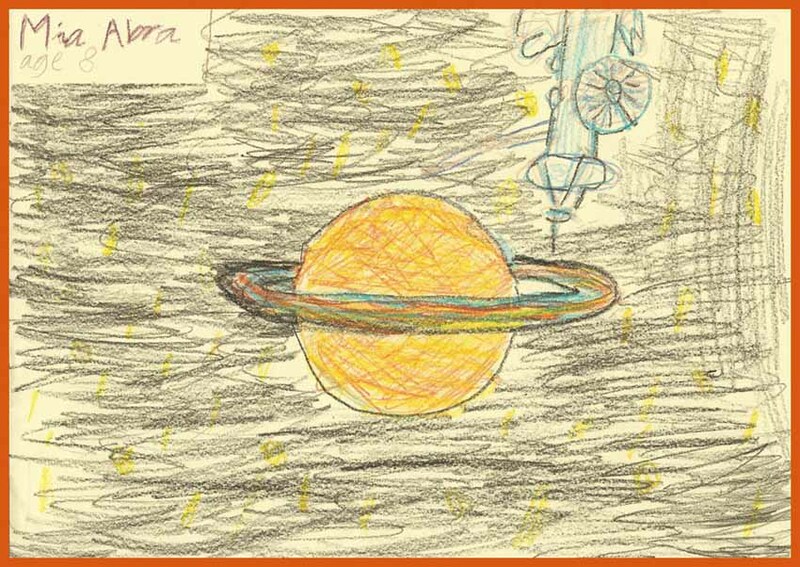 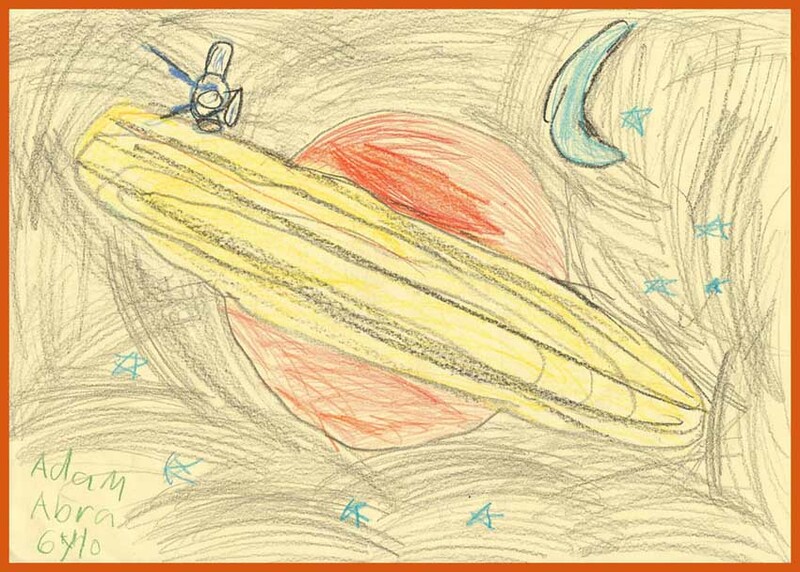 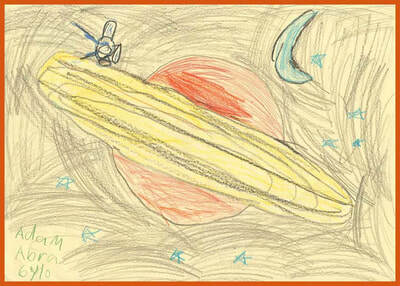 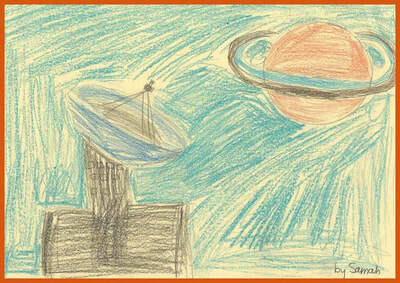 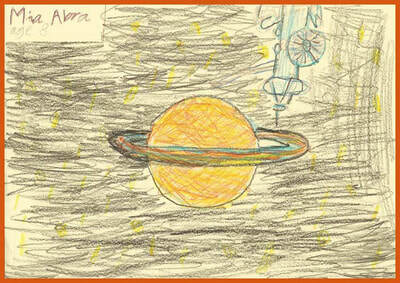 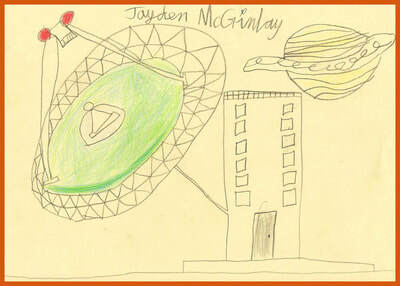 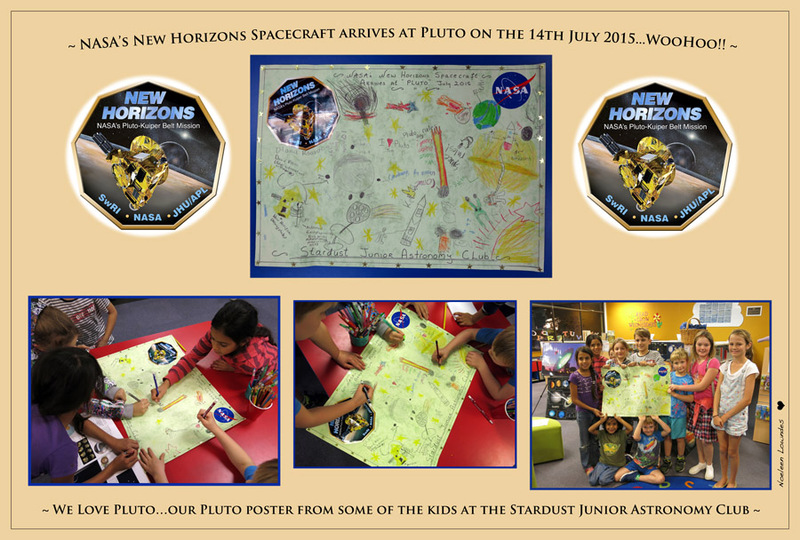 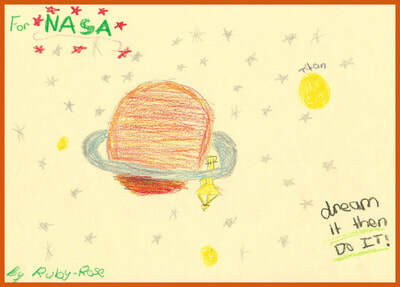 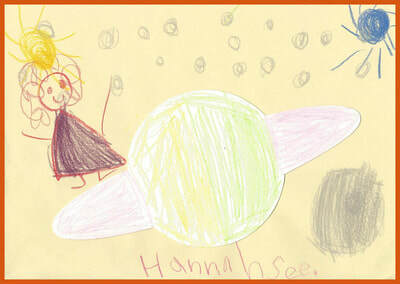 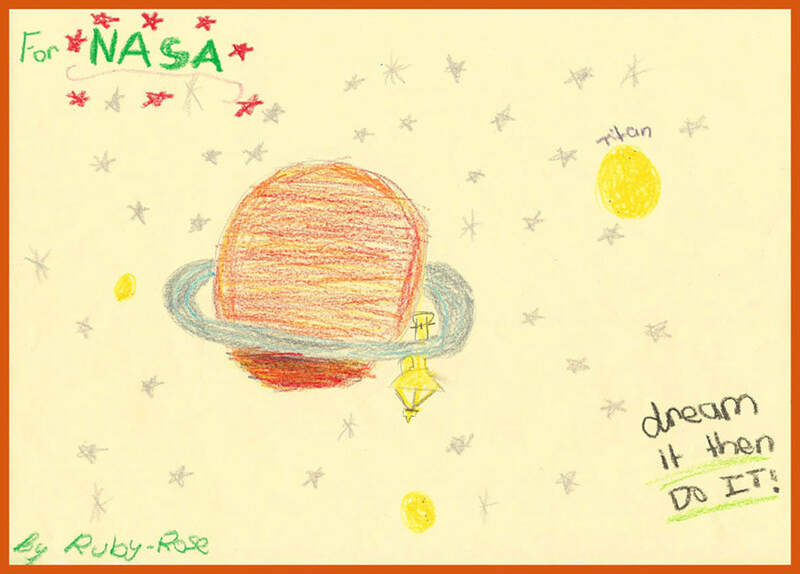 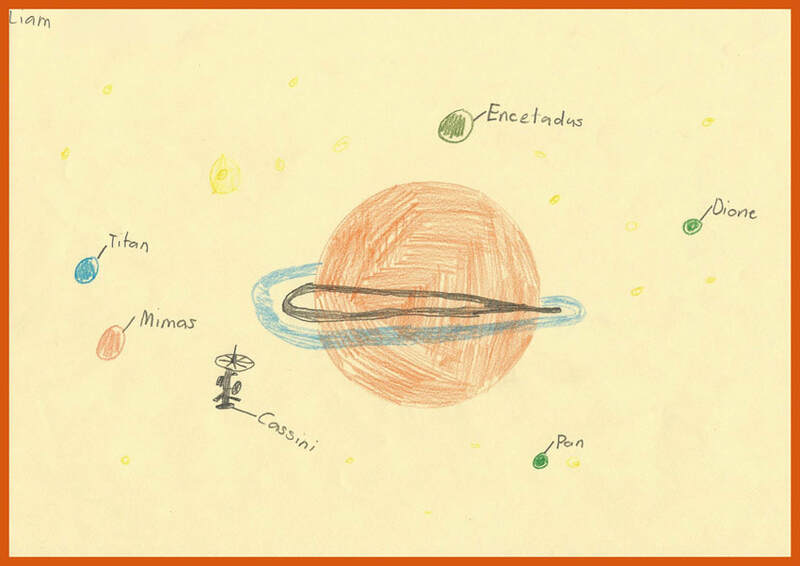 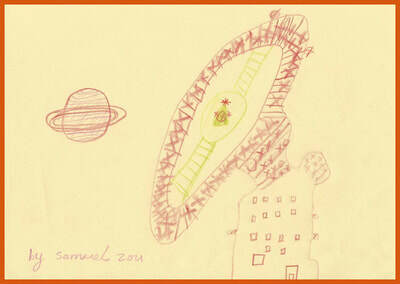 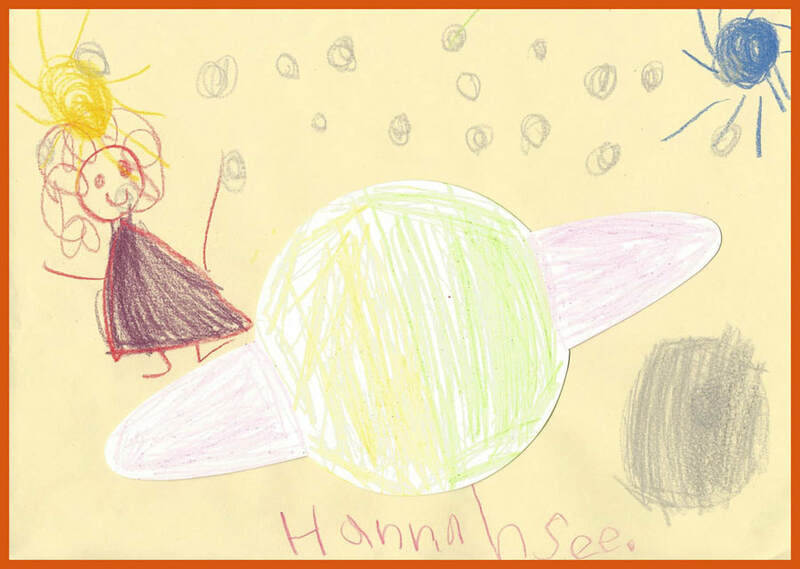 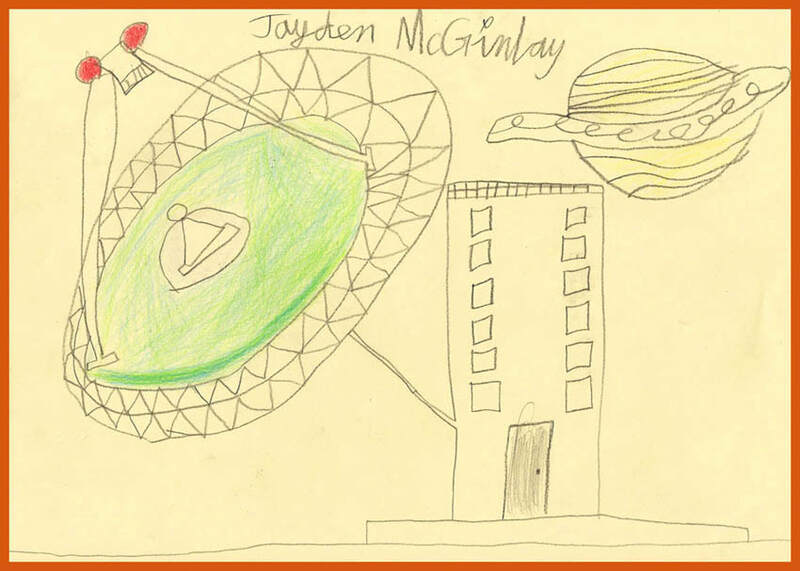 Please find below some lovely drawings that the children did from the Stardust Junior Astronomy Club to say Good-bye to this very special little spacecraft.